n this Ask Snappy session, Appy Pie Founder, Abhinav Girdhar, explains how to create your own quiz and customer survey app quickly without any coding. 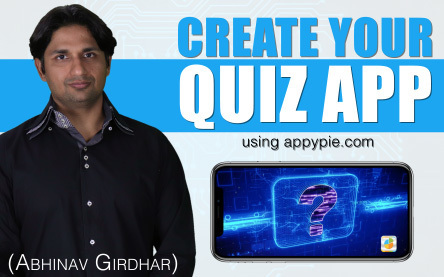 Learn how to make a quiz app on Appy Pie’s quiz app creator in 3 minutes. Build your own quiz app today and challenge your friends from across the globe! This entry was posted in Ask Snappy on January 29, 2019 by Appy Pie.